UPDATE: A spokesman at the Washington Post offered this comment to The Daily Caller News Foundation. One of the Washington Post’s chief political reporters labeled supporters of President Donald Trump and his proposal for a wall along the southern border as “rubes,” in an appearance during a podcast released Monday. 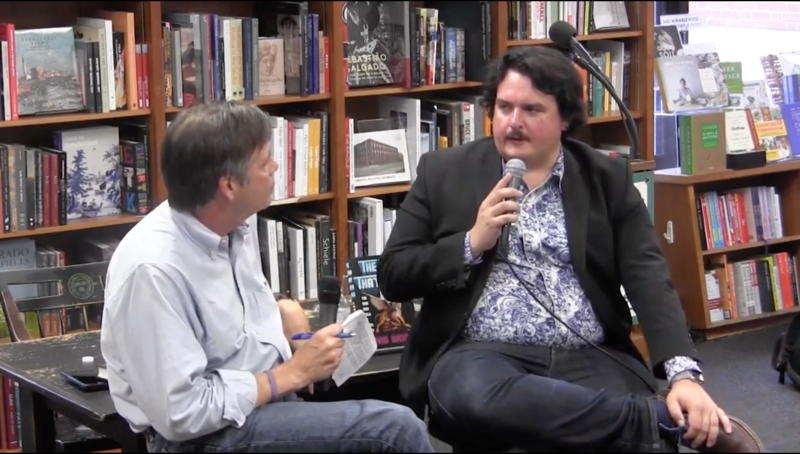 Dave Weigel, a national political correspondent for WaPo, appeared on the popular left-wing podcast “Chapo Trap House” to discuss the government shutdown and other related issues. Shortly into the episode, Weigel began expressing his disdain towards Republican voters. “[Senate Majority Leader Mitch McConnell] is very good at identifying what the rubes want to hear,” Weigel said, referring to negotiations between the Kentucky Republican and the White House over wall funding. “We do not think our reporters should be using derogatory terms to characterize anyone,” and that the “matter is being handled internally,” the spokesman said. Weigel also suggested that he hoped radio host Rush Limbaugh die after he was admitted to a hospital for chest pains in 2009. “I’ve always been of the belief that you could have opinions and could report anyway …. people aren’t usually asked to stand or fall on everything they’ve said in private,” Weigel said. Weigel later publicly apologized for his behavior in those emails, but was forced to resign from his position at WaPo. In 2015, he was rehired by the paper as a political blogger.